There are many helping hands working together to build the Rally community. 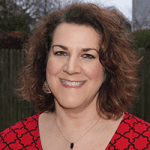 I’m Lori Sylvia, and I’ve been in Marketing and Communications for 25 years. I started out as a technology journalist, then became a marketer of new technologies. I’ve worked for a non-profit membership association and a Fortune 100 company, but grew my entrepreneurial spirit working at five start-ups, most recently as Chief Marketing Officer of SmashFly Technologies. I joined SmashFly in 2014 as employee #30 and the second person in Marketing. I was hired to build the Marketing team and function to help SmashFly scale. At the time, Recruitment Marketing was synonymous with recruitment advertising; candidates were synonymous with applicants; and if you had recruiting technology in addition to your ATS, it was likely a talent CRM. I brought together the most amazing #marketeam in the world, and we went to work on educating practitioners about Recruitment Marketing and creating the new product category of recruitment marketing platforms. With Rally, I’m excited to have this opportunity to help more people learn how to practice Recruitment Marketing so they can advance their careers and lead the future of talent acquisition. When I need to relax, I’m at the ocean, and when I need to laugh, I’m with my family and friends. Or sending them Bitmojis. I’m Tressa Sloane Richards, and I count myself lucky to be able to combine two things I’m passionate about – recruitment and content marketing – into one role as Rally’s Content Strategist! I hold a degree in Journalism with a minor in French. After graduating from college, I moved to NYC and took the first job that was offered to me as a recruiter for a staffing firm. While there, I learned how valuable the candidate experience is and about the crucial role recruitment professionals play in helping people find the right fit for their next career move. After a few years in recruiting, I decided to get back to my writing roots, and accepted a content writing job with a marketing agency in Boston. My role evolved from writer to editor to manager of editorial development, helping writers with an educational background similar to mine put their skills to the test in the world of content marketing. I was able to bring some of my recruiting know-how to the mix by hiring, training and managing these new writers to help them grow professionally, an experience that I found incredibly rewarding. 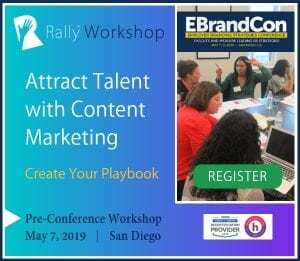 Today, I get to take my knowledge in both the recruiting and content fields, and create engaging, informative and valuable assets for the Rally community and beyond. I’m thrilled to have the opportunity to help Recruitment Marketing professionals grow their own skills and build their industry knowledge through our content! Outside of work, you can find me adventuring to new places with my husband, yelling “War Eagle!” for my Auburn Tigers, obsessing over Elvis or talking baby talk to every animal I come across. 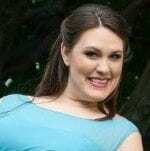 I’m Shelby Erwin, and my passion is Marketing! My background is in Marketing and Sales and for the last five years I have worked with Marketing teams to build scalable demand generation campaigns. For me, the best part about Marketing is being given the opportunity to plan and build campaigns, make an impact, create value and build relationships with people. Joining the Rally team is an amazing opportunity and I’m so excited to bring inspiration to the Rally Recruitment Marketing community. My role here at Rally is to support deployment of the Recruitment Marketing resources you’ve come to know and love and create the communications to share them with you all. In addition to inspiring the Rally community and helping Lori realize her dream, I run my own Marketing consulting & freelancing business. What can I say—I love living my passion!